Last week (February 20, 2019), we spent some time in Bath. There is no reason why we should not continue our journey and go to Coventry, a town in Warwickshire, 94 miles away from London. The name was widely known to those who lived through World War II because of the devastating bombing raid on Coventry in November 1940. In Great Britain, that terrible night has never been forgotten, and the ruins of the destroyed abbey (now standing close to a new one) are a permanent reminder of the raid. Coventry was an important industrial town, but hardly important enough for Luftwaffe (Air Force) to attack it with such ferocity. I wonder: Is it possible that some wit in the German headquarters chose Coventry because he knew the phrase send to Coventry “to ostracize” and wanted it to live up to this grim association? Surely, I am not the only one to think so. Send to Coventry appeared in print in 1647 (OED), which means that it had been known for at least some time before the middle of the seventeenth century. The origin of the phrase is “matter of conjecture,” as another major dictionary puts it. A few hypotheses have been repeated multiple times, but repetition did not make them more convincing. A correspondent to the once popular periodical Long Ago wrote in1874: “It has struck me that it [the idiom] might have originated thus. When Margaret of Anjou had made herself obnoxious to the citizens of London… she retired to Coventry. The Londoners’ contemptuous remark that they had sent the Anjouites to Coventry might have given rise to this saying.” Queen Margaret, the wife of Henry VI, lived in the fifteenth century, and at one time she did retire to Coventry (not much to base a good etymology on). I would not have mentioned this baseless hypothesis, but for one reason. It is not too difficult to find an event that supposedly gave rise to a saying with a name in it. School for Scandal? Image credit: Dorothy Gulliver & Kenneth Harlan in Under Montana Skies – publicity still (cropped) by Unknown. Public Domain via Wikimedia Commons. The other explanations can be found in numerous reference books, on the Internet, and in Wikipedia. They usually have the same basis as the one quoted above: hearsay and a seemingly convincing event. Let us first look at hearsay. According to the most popular old hypothesis, the inhabitants of Coventry were at some time [!] so averse to any contacts with the military quartered in the town that any woman who dared speak to a man in a scarlet coat became an object of scandal. The soldiers and officers were thus “ostracized,” and such are the circumstances under which to send to Coventry “to shut someone from society” originated. 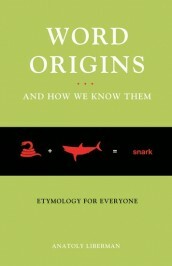 This etymology is pure folklore, even though, like many legends, it may be based on the echoes of some historical fact. Other than that, why should the women of Coventry (just of Coventry) have been so hostile to all “who bore his Majesty’s military commission”? Novels paint a different picture. And where is the evidence? But this explanation found its way into E. Cobham’s Brewer’s Book of Phrase and Fable and has often been repeated. A much better-known legend connects the phrase with the Civil War in England (1642-1649). I quote: “The day after Charles I left Birmingham, on this march from Shrewsbury, in 1642, the parliamentary party seized his carriages, containing royal plate and furniture, which they conveyed for security to Warwick Castle. They apprehended all messengers and suspected persons and frequently attacked and reduced small parties of the Royalists, whom they sent prisoners to Coventry. Hence the expression respecting the refractory person, ‘send him to Coventry’.” In Coventry, the Royalists were received, as we are given to understand, with hostility. A different approach to our idiom concentrates on the form of the place name Coventry. Rather probably, –try goes back to a word for “tree,” and a legend has it that this terrible tree once served as gallows. A few other attempts to solve the riddle take us away from the town. As early as October 1878, a correspondent to Notes and Queries wrote: “The form ‘send to Coventry’ is also used, but certainly not more frequently than ‘put in Coventry’. [This, I am afraid, will be news to some.] Now a boy ‘put in Coventry’ by his schoolfellows is exactly in the position of a person ‘put in quarantine’. Why, then, may not the former phrase be a corruption of the latter? It must be borne in mind that the word Coventry was formerly sometimes pronounced, and indeed written Cointrei.” According to this idea, Coventry in the idiom is a folk etymological reshaping (in the past, they always said “corruption”) of quarantine. Fifty years later, Logan Pearson Smith, an excellent scholar, whose books on English words are of the same caliber as Ernest Weekley’s, repeated this hypothesis. Still other people thought that convent had been changed to Coventry. There is no way of verifying such guesses, but the scenario is not improbable. For example, many people may have heard the idiom Scarborough warning “something falling without giving warning to those below; no warning at all.” Historical events have been cited that seem to account for its origin. But Skyrebarn warning (Galloway) competes with it, and one begins to wonder whether both places were made to fit some forgotten and misunderstood phrase. Variation of the Scarborough ~ Skyrebarn type is a typical feature of idioms, and place names are often substituted for less memorable words. In the 1860s, a recalcitrant (refractory) child could be told that it would be sent to Putney on a pig. The alliteration is obvious, by why just to Putney? Because it bears a distant resemblance to punish? Has any of our British readers heard this terrible threat? To conclude, Coventry in the idiom may be a late guest. Until next week. 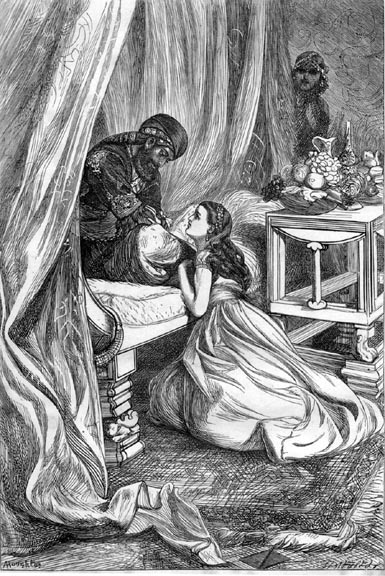 Image credit: Sultan Pardons Scheherazade by Arthur Boyd Houghton. Public Domain via Wikimedia Commons. Falstaff: he won’t let himself be sent to Coventry. 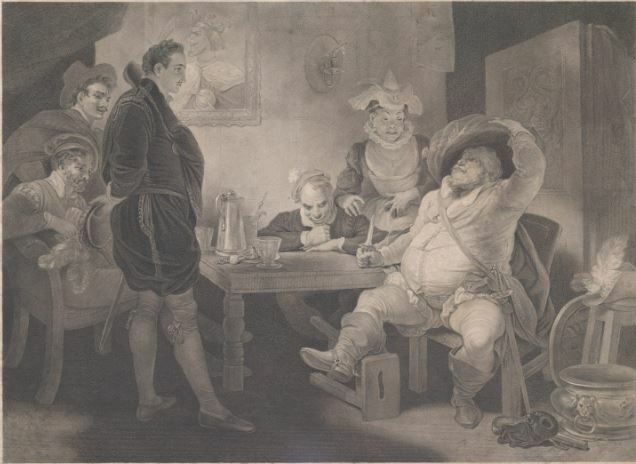 Image credit: Falstaff, Prince Henry and Poins at the Boar’s Head Tavern (Shakespeare, King Henry the Fourth, Part 1, Act 2, Scene 4) by The Metropolitan Museum of Art. Public Domain via Picryl. Finally, it will be remembered that Falstaff (I Henry IV, scene 2) makes a great speech about his soldiers, all jailbirds, scoundrels, and (perhaps more important) cowards (“a commodity of warm slaves, as has as lief hear the devil as a drum”). He is sending this uniformed rabble to Coventry but adds: “I’ll not march through Coventry with them, that’s flat.” Was there a tradition to send all kinds of undesired people to Coventry, a tradition that had nothing to do with the royalists, gallows, or any other historical event? Was Coventry indeed a “corrupted” form of some other word? Shakespeare’s play was written (such is the consensus) around 1597. On this note, Scheherazade-like, I’ll stop, at least for a week. Featured image credit: Landscape of England through a tunnel by Eryk Fudala. CC0 Public Domain via GoodFreePhotos.